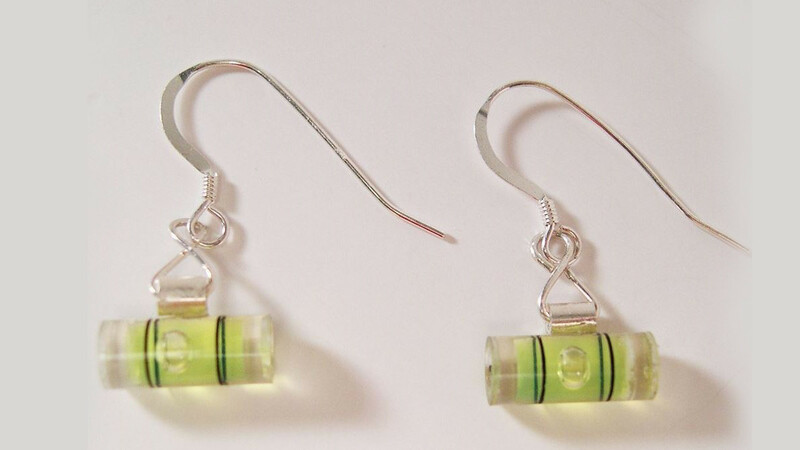 This cute pair of level earrings have been created using real, working levels. A very quirky fashion idea or a fun novelty gift idea. The findings are sterling silver and the earrings are available in several different colors. Colors available are blue, indigo, pink fuschia and red. Each level measures 12mms long and 5mms in diameter. These are statement earrings that are sure to be enjoyed by many different kinds of people. Use them to check the angle of your yoga positions or in a workshop. A very cool gift idea for anyone who loves things that are very unique.